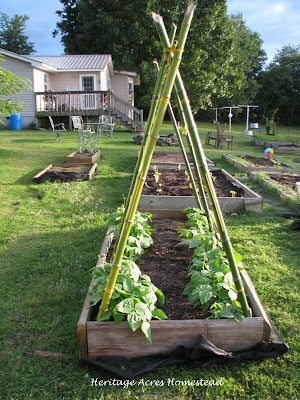 At Home with Chas: Green Beans... in OUR Garden! Green Beans... in OUR Garden! I have never successfully grown green beans. I've planted them a time or two... but with no success. Me, being me and never enjoying defeat, I tried again. I planted them the week before we went on vacation. I told you that we had a big ole mess in the garden after we came home... and we did and we do, but we have some excitement too! Look at what we have now! I'm sure you have spied a much more impressive green bean patch than this, but hey, like I said... a first time success... I get pretty excited about that! We have these canes that grow on our driveway. They made the perfect trellis, and I adore how it looks! Eli helped make the trellis yesterday. He is becoming quite the young man. 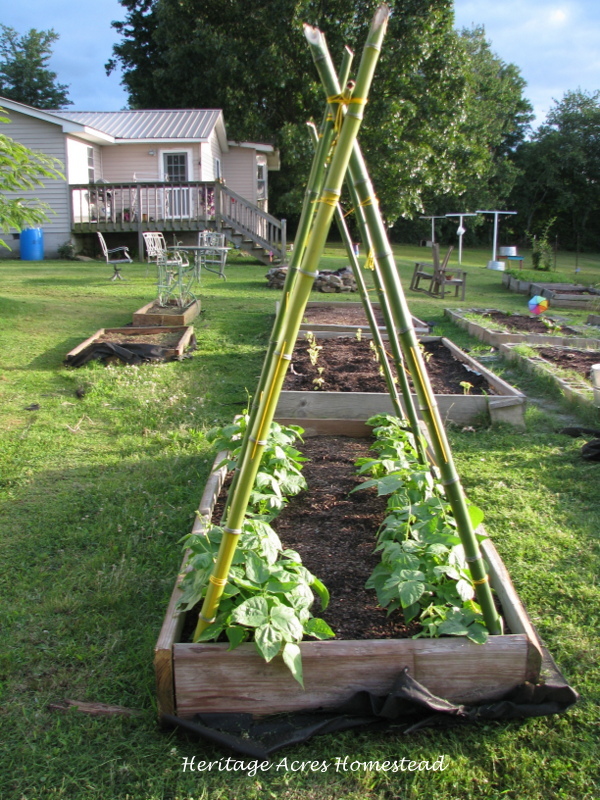 I look forward to putting up some green beans that actually came out of our garden. Even if it's small, try growing something you never have before. You might be surprised at what happens too!